In what they’re billing as the biggest update yet, Vine, Twitter’s popular short video sharing app, now lets you send private messages to up to eight friends. The feature is called a Vine Message (VM), and is, of course, nothing like private video messaging on Instagram. No, siree. Twitter thought of this ages ago! From Vine’s early days, we recognized that there was a growing desire and need for private messaging on Vine. We’ve watched the community come up with some clever ways to send videos to their friends as we’ve been working on this solution. 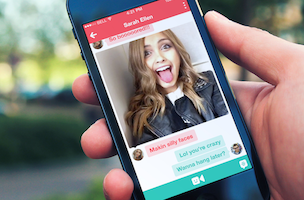 Now you can privately send Vine videos and text messages to your friends. 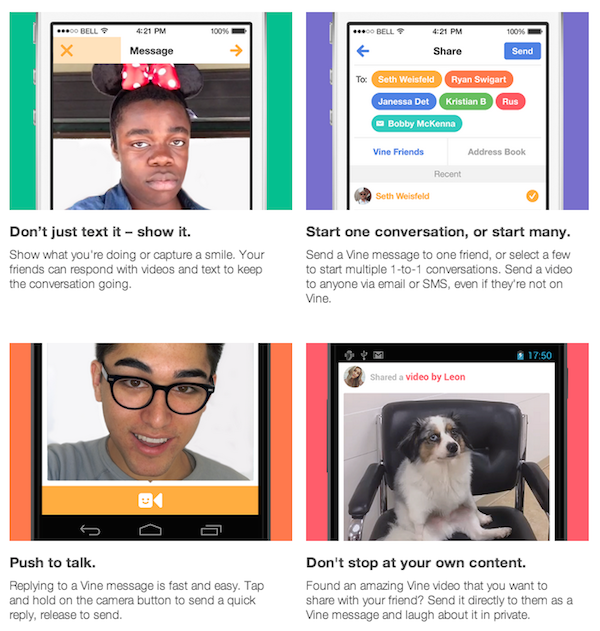 You can even send videos to anyone in your address book, even if they aren’t on Vine. You’ll need to update your Vine app to the latest version to get the feature. Once done, select the new Messages option from the nav menu, record a video and send to your friends. Check out more information on the Vine blog here.